i-Dealcorp.com is the natural evolution of connecting Publicly Listed Companies, Private Companies and the investment community. It’s a global communications platform that uses the latest technology to create a secure, informed, and cost-effective investment experience. WANT TO BE PART OF THE #RAISEINVEST EVOLUTION? i-Dealcorp.com is the next step in raising and investing capital. or an investor searching for the right deal, i-Dealcorp.com will put you in control. 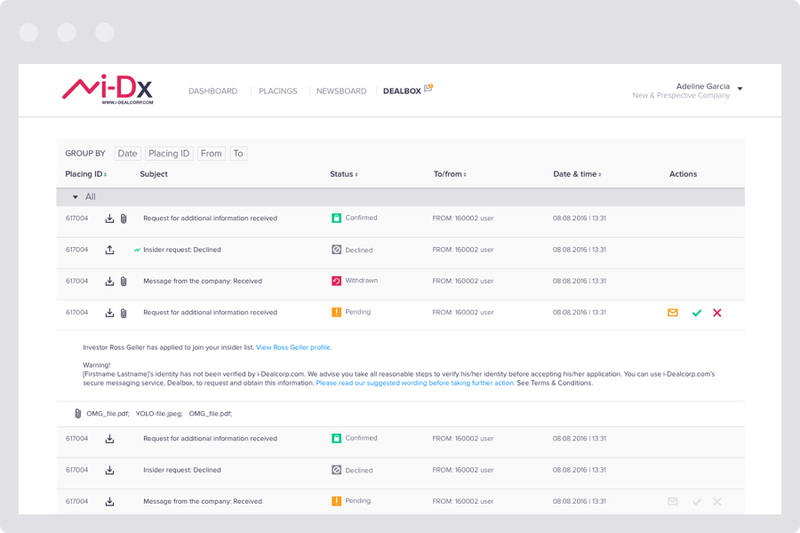 Currently free of charge, PLCs seeking to raise capital and increase their visibility can use i-Deal Corp (i-Dx) to post offerings anonymously. Gain access to a global marketplace of sophisticated private and institutional investors actively seeking equity and bond placements. The platform eliminates traditional commissions in respect of brokerage services and finder/success fees. Private Companies seeking to raise capital and increase their visibility can use i-Deal Corp (i-Dx) to post offerings anonymously. Gain access to a global marketplace of sophisticated investors actively seeking investment opportunities in private companies. i-Dealcorp.com is a secure communications platform. It allows Private and Institutional Investors to access Publicly Listed and Private Companies equity and bond placings, or private placings, across the globe, offering secure, straightforward and informed investment opportunities. PLCs can create anonymous equity and bond placings, which investors can view and request to become insiders. PLCs then either accept, query or decline said requests. 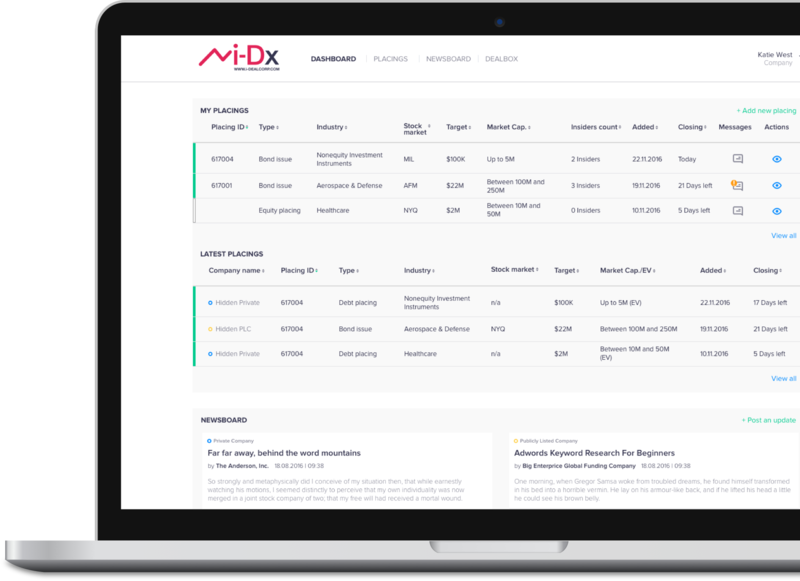 Similarly, private companies can also post ICO, equity and debt offerings, anonymous or public, for viewing by the i-Dx investment community. 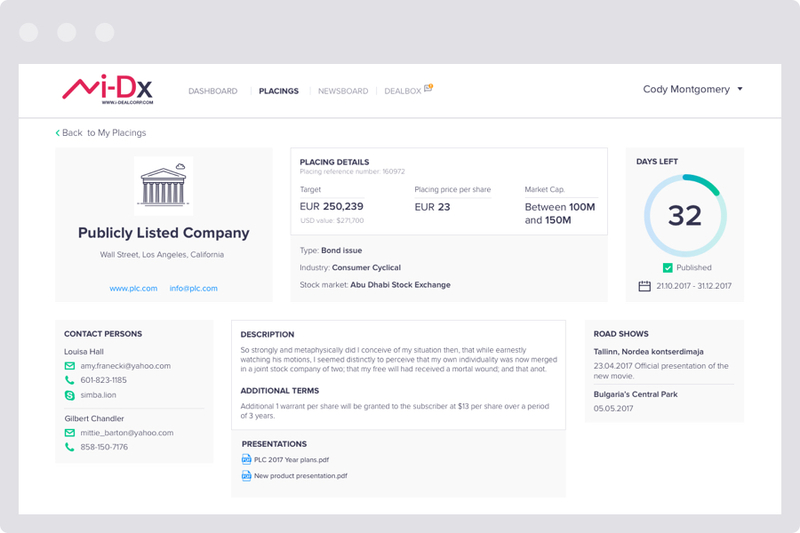 A secure messaging system that allows PLCs and Private Companies to verify the identity of investors requesting to become insiders on placings. PLCs, Private Companies and Investors can communicate safely and securely before sharing confidential information. 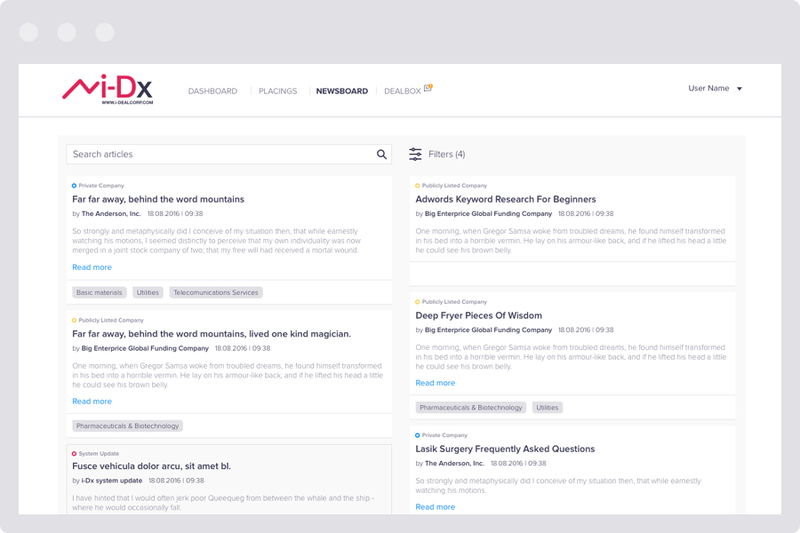 Allows PLCs and Private Companies to post links to articles, presentations and videos that highlight relevant news and information to the i-Dealcorp.com investor community. Luca Tenuta is a veteran of the finance industry. He saw an opportunity to evolve the investment marketplace and give PLC and investors a secure and easy way to #RAISEINVEST capital. He put together a team of digital and technology wizards and financial and commercial trailblazers to build a platform that would change the way PLCs, Private Companies and Investors meet and do business.